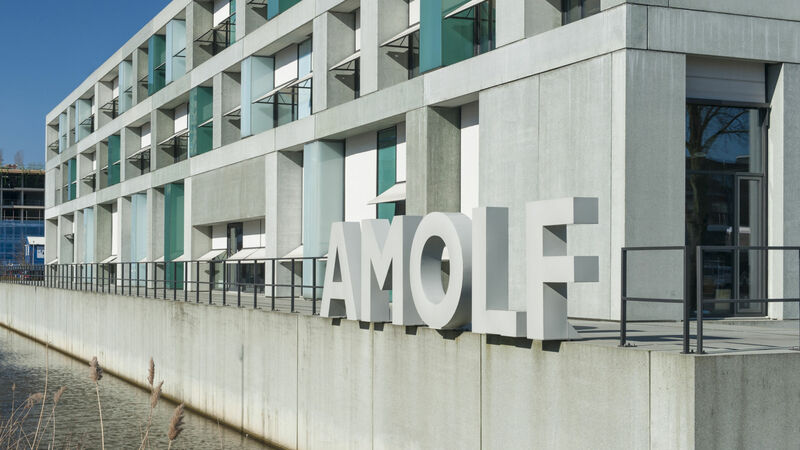 The history of AMOLF starts on September 15th, 1949 when the institute was launched by the Foundation for Fundamental Research on Matter (FOM). 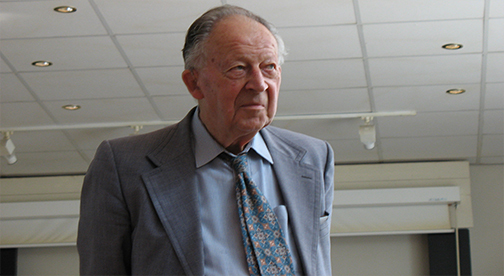 At the time the institute was called the FOM Laboratory for Mass Spectrography and its first director was Jacob Kistemaker. Due to the war the Netherlands had lost their leading position in physics and they wanted to get the upper hand again. To this end Kistemaker was sent to Copenhagen in 1945 right after the end of the Second World War, to collect knowledge about nuclear physics from the eminent scientist Niels Bohr. Initially, the Laboratory for Mass Spectrography focuses on the separation of uranium isotopes. In 1953 the Dutch researchers managed to produce 10 milligrams of enriched uranium, which led to the declassification of isotope separation in the United States and opened up new possibilities for the production of radio isotopes for scientific and medical purposes. Together with Joop Los, Kistemaker started a new project: the enrichment of uranium using gas centrifuges. Many years later the company Urenco became quite successful with this technique. At this point the institute decides to change course, looking for new research opportunities to uncover and nourish into successful research fields. Their choice is fundamental research into the physics involved in the isotope separation processes. The next step is to build the equipment necessary to carry out experiments that measure the interaction between electrons, atoms, molecules and surfaces. A new research field also means a new name and in 1966 the institute takes the name FOM Institute for Atomic and Molecular Physics (AMOLF). A few years before the name change the institute had moved to a new building at the outskirts of Amsterdam, where the scientists were surrounded by community gardens and livestock. Many years later this area became the Amsterdam Science Park. In the nineteen eighties AMOLF is internationally well-known for its surface physics research. The scientists manage to map out the atomic structure of surfaces. One of the main themes in surface physics is the difference between the way atoms are ordered on the surface of a solid material and the structure deeper in the material. Another new topic at the time is new materials for solar cells (1987). At the beginning of the 21st century AMOLF again changes course. The institute decides to focus on two main themes that had been developing in the late nineties: physics of biomolecular systems and nanophotonics. Research in quantum gasses, atomic and molecular physics move to Dutch universities and the physics research field that studies ageing processes in paintings ends. The mass spectrometry research continues focusing on imaging for biomedical purposes. The last couple of years AMOLF has continued being a pioneer in physics research. Opportunities opened up in the brand new field of Designer Matter that involves the design and fabrication of new materials with extraordinary properties due to shape and form. Another research field that grows rapidly is the research of photovoltaic materials that can lead to the design and production of cheaper and more efficient solar cells.